I need to find a solid term for a reverse Oreo: Someone who’s white who acts black. One that can be appropriately applied to Dave Wilson, one of the newest members of Houston’s Community College Board of Trustees. In order to win his seat in a heavily black district, Wilson pretended that he was black. Wilson was smart about it. He didn’t need to start voting for Obama or dropping the n-word to make his point. Instead, he just used his campaign information strategically. He omitted photos of himself on voter mailer and instead, sent out a flier featuring the faces of several happy black folks. 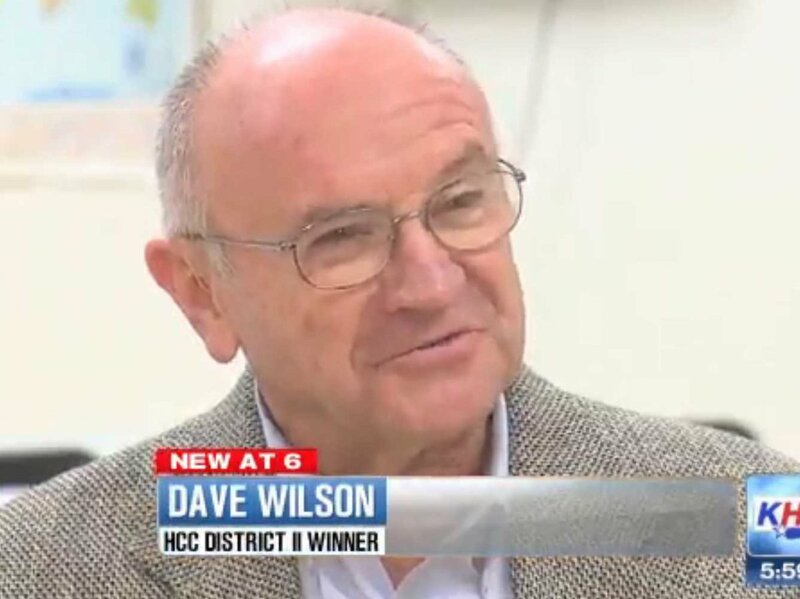 The mailers featured “smiling African-American faces — which he readily admits he just lifted off websites — and captioned with the words, ‘Please vote for our friend and neighbor Dave Wilson'” over 24-year incumbent Bruce Austin. He won in the heavily black district by just 26 votes. “Every time a politician talks, he’s out there deceiving voters,” Wilson told the network. He also ran a radio add that was narrated by two black women. “Dave Wilson? Isn’t he the—” one woman says. “Yes, Dave Wilson is the man who’s fighting for our neighborhoods,” the other says. People often get on to me for “acting too white and not being myself”. But first, take a look at this picture circa 1999 and you’ll see I come by my whiteness honestly. Second, even if I didn’t spend years crafting and honing a someone to pretend to be, this story just goes to show that other people do it every day. So what if someone takes on personas in order to reach a desired end? We all lie about who we are to some extent? Do you really want to go to the gym that much? Of course not, you just want a chance at a date in about 4 weeks. I want a better rate on my home loan, a lessened chance of getting diabetes and the ability to stop answering questions about my hair. So I Oreo it up. This guy wanted to help run a Community College, so he lied to his community. We’re totally twinsies. I kinda want to send him a congratulations card for his good work because on one hand, I admire him. He managed to successfully hide from his own ethnicity. On the other hand, all of his new friends are RBP, so I’m not sure I want to give that guy my home address. What do you think? Bad politics or fair game? What lies have you told to get what you want? Let us know in the comments!